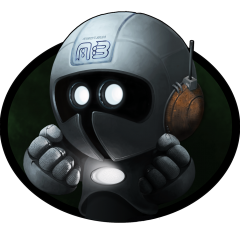 - Missing Background mode support for Droid4x and MEmu. Preferred emulator is Bluestacks. We appreciate your patience and support on these issues! You must fully QUIT BlueStacks and close all BS processes before running new version (right click system tray icon). New Resolution is 860x732. This should change automatically. Fixed a log bug where the log files were not properly closed and the attack log contained parts of the normal log. Fixed a subscript error that occurs when the bot starts and the village has no trained troops in army camps. Fix if surrender is not clicked due to not on Attack page, do not check for Okay button. Fix buildup of debug files due to debugOCR enabled on Donate function. Fix on TH Snipe CSV function gave an error when troop or delay values were identical. Great work as always, devs. Enjoy new bot and new forum! I would like to thank the whole team for making this possible! Developers working so hard and late hours to bring this update to the forum. Also a big thanks to the guys setting up the new forum!